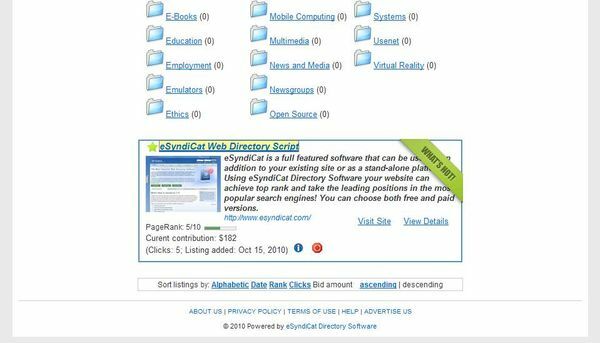 eSyndiCat Bidding Directory Script makes it easy for any webmaster to launch a profitable bid directory. Start earning now with eSyndiCat Link Bid Script. 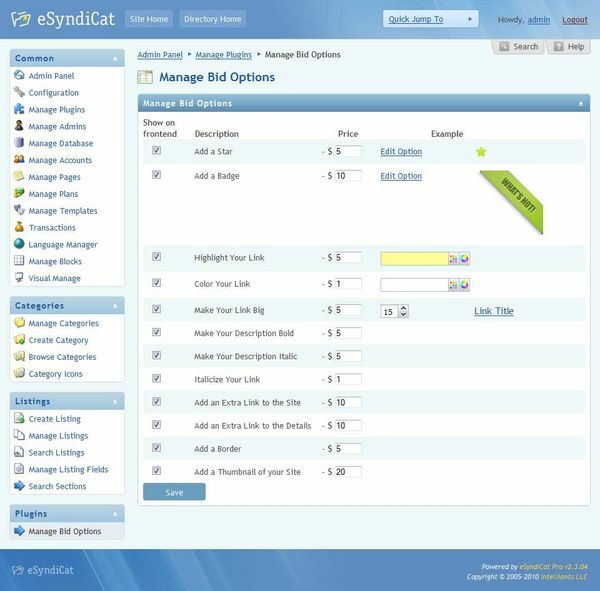 Bidding Directory Script costs as low as $80 for existing eSyndiCat customers. Note: you should have eSyndiCat license to use the bidding directory script. eSyndiCat bidding directory script sorts links by bid amount, and the top bidder gets the highest position in the directory. The completely automated system makes it simple for advertisers to submit their link and upgrade their link bid options at any time. 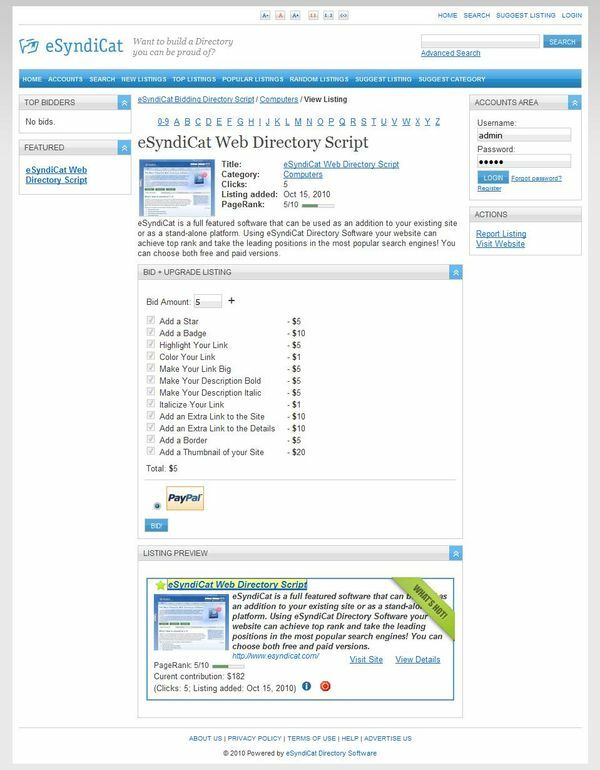 We setup online demo to try eSyndiCat php link bid script before the purchase. You can try both the front-end demo and the admin panel demo. 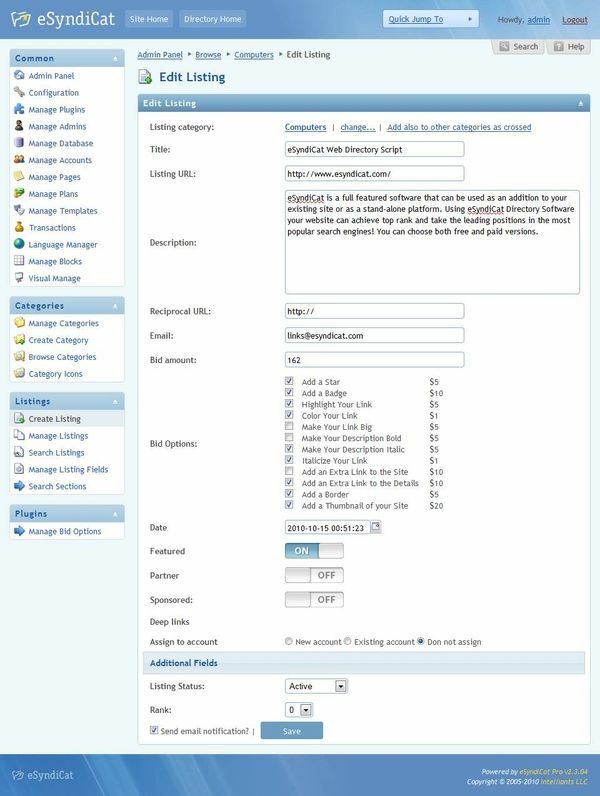 Please use the following details to login to demo admin panel of link bidding script. 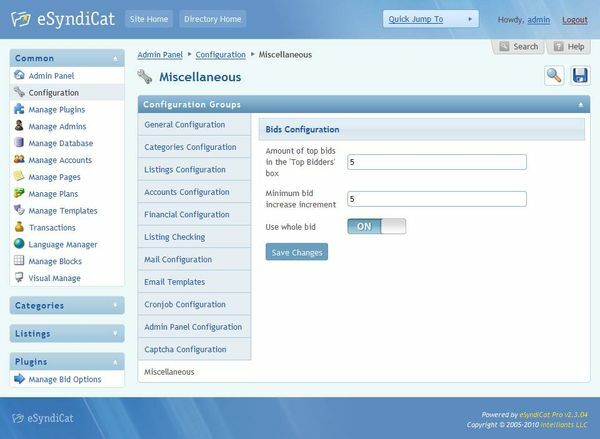 If you cannot login to admin panel please contact us so we could provide you with the working demo version. I love this script. I started out with the free version, and though I didn't really have to, I bought the pro version. I found I liked the way the pro version was set up, and I liked the fact that you could add your own link fields. I would recommend this software to any webmaster. The staff on the forums are friendly and always willing to help. I have had them fix my screw-ups several times and they were quick and very efficient. Thanks to the makers of eSyndiCat.